Fasting, by definition, is going without food and/or drink for a period of time. Typically, fasting is done for religious reasons and involves a person refraining from both food and drink (Esther 4:16). However, there are variations that may be done for health reasons (a juice fast, for example, where one would refrain from eating and only drink juice for a period of time). The practice of fasting is mentioned numerous times in the Bible as a reaction to various circumstances. Fasting was also a reaction to intense grief, as when the bones of Saul and his sons were buried (1 Samuel 31:13). Nehemiah also expressed his grief about the conditions facing the Jews and Jerusalem with fasting and prayer: “So it was, when I heard these words, that I sat down and wept, and mourned for many days; I was fasting and praying before the God of heaven” (Nehemiah 1:4). We also find people fasting when God’s deliverance was needed, as when King Jehoshaphat was approached by a large invading army. “And Jehoshaphat feared, and set himself to seek the LORD, and proclaimed a fast throughout all Judah. So Judah gathered together to ask help from the LORD; and from all the cities of Judah they came to seek the LORD” (2 Chronicles 20:3-4). The Bible also gives instructions about the attitude and approach we should have in fasting. Jesus warned about hypocritical fasting, trying to show off or make others feel sorry for us. In the New Testament, Anna, the prophetess, is described as serving God day and night with fasting and prayers (Luke 2:37). We read that John the Baptist taught his disciples to fast and Jesus Christ said His disciples would fast after His death (Mark 2:18-20). Paul and Barnabas prayed and fasted when they ordained elders in the Church (Acts 14:23). In fact, Paul said his sacrifice and service to the Church was often “in labors, in sleeplessness, in fastings” (2 Corinthians 6:5). And Jesus Christ fasted 40 days and nights before facing Satan in an epic battle of spiritual will (Matthew 4:2). The Bible also gives instructions about the attitude and approach we should have in fasting. Jesus warned about hypocritical fasting, trying to show off or make others feel sorry for us (Matthew 6:16-17). Instead we should not “appear to men to be fasting, but to your Father who is in the secret place” (verse 18). Isaiah also contrasts selfish fasting with godly fasting marked by care and concern for others (Isaiah 58:3-10). Instead of fasting “for strife and debate” and fasting to try to make God hear and do what we want (verse 4), we need a very different perspective. God said, “Is this not the fast that I have chosen: to loose the bonds of wickedness, to undo the heavy burdens, to let the oppressed go free, and that you break every yoke?” (verse 6). Why should we fast? There are many reasons to fast and many spiritual benefits of fasting. We see from the biblical examples that fasting should be used as a means to humble ourselves before God and seek His forgiveness, comfort, help, guidance, strength and His will. Fasting allows us to draw closer to God. In the Bible there is a strong connection between fasting and prayer. When Daniel realized that the prophesied 70 years of “desolations of Jerusalem” were almost completed, he urgently reached out to God. “Then I set my face toward the Lord God to make request by prayer and supplications, with fasting, sackcloth, and ashes [signs of mourning]. And I prayed to the LORD my God, and made confession” (Daniel 9:3-4). What follows in Daniel 9 is one of the most powerful prayers in the Bible. Jesus also connected fasting and prayer. When His disciples discovered they were unable to cast out an unclean spirit, they asked Jesus, “‘Why could we not cast it out?’ So He said to them, ‘This kind can come out by nothing but prayer and fasting’” (Mark 9:28-29). Fasting and prayer help us humbly access the awesome power of God. God uses fasting as a teaching tool on one of the annual holy days He commands us to keep. In Leviticus 23:27 God says “afflict your souls” on the Day of Atonement. The New Unger’s Bible Dictionary points out that afflicting your souls is a reference to fasting. This holy day is so associated with fasting that one of its nicknames at the time of Paul was “the Fast” (Acts 27:9). What is fasting in the Bible? 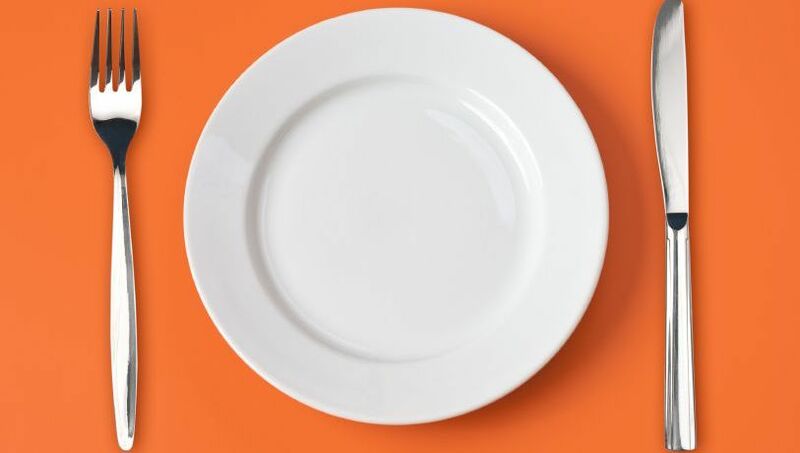 We can conclude that by command of God and by scriptural example, fasting is a tool that a Christian may use to seek a closer relationship with his or her Creator and petition God for help, guidance and a humble heart that is yielded to His will. While fasting is an excellent tool for spiritual growth, those with diabetes or similar serious health conditions would be wise to seek professional advice before attempting to fast.